This site is dedicated to the brave men who, during the Cold War, served their nation in the Silent Service. It has been created to serve those who were on the crew of the USS James Monroe SSBN 622. This is the official, current website of the USS James Monroe Association. It is the best source of information about the USS James Monroe and is the best way for former crew members to keep in touch with each other. Please feel free to browse our site and before you go don’t forget to sign the Guest Book – Under Construction. Please use the Sailing List Menu Item or Eternal Patrol Menu Item to find your shipmates. 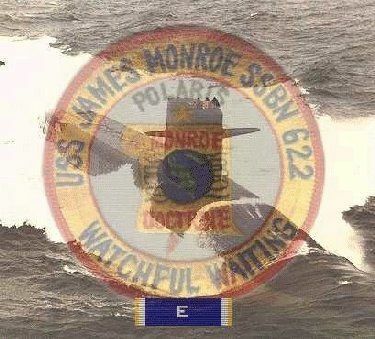 Former James Monroe sailors are urged to help us keep the sailing list useful by sending us their contact information or changed information via the Contact Us Menu Item. Our members have access to the complete sailing list containing crew member’s contact information – Under Construction. If you are a former crew member and would like to join the association please contact us via the Join / Membership Menu Item and we will send you our membership information.